Be part of an immersive art experience with this melding of virtual-reality, visual art, music, film and fashion created in partnership with Virtual Relief. Become part of the work or create your own. 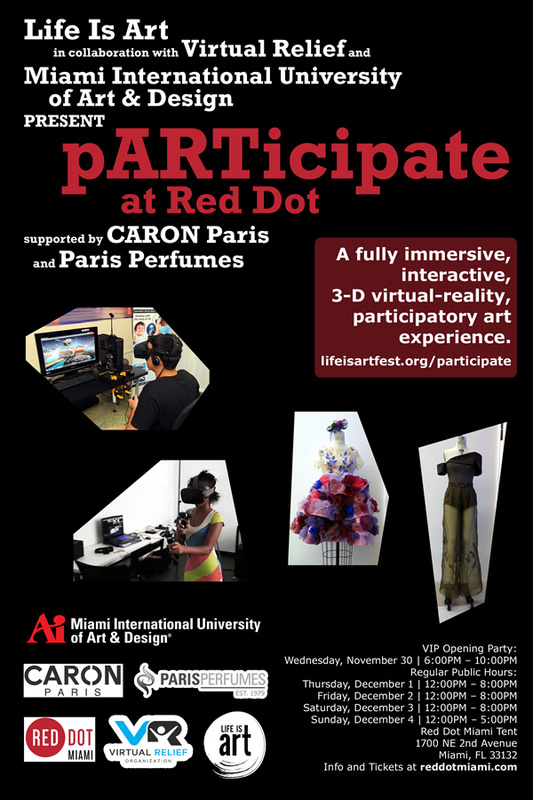 Featuring work created by local students of Miami International University of Art and Design in collaboration with CARON Paris and Paris Perfumes, this interactive exhibition includes a panoply of artistic activities. In this exhibition, patrons are able to actually interact with and become part of the art as well as create their own work through Virtual Reality technology. A true blending of Art and Technology.